It’s World Tourism Day! So Page Chaser is writing about literary travel – aka the crossroads of all the things that spark joy in our little nerdy hearts. Today we are visiting Shakespeare and Company Paris. There’s a chapter in Eat Pray Love where a friend informs Elizabeth Gilbert that every place – and every person – has a word that defines it. If you don’t fit the word, you can’t really fit the place. Her friends go on to decide the word for the Vatican is power. New York, achieve. Naples, fight. You get the picture. I think of this story every time I travel somewhere new. I cast myself into fantasies wondering if this is the place that will finally induce me to forsake my everyday life and run away to some far-off land. 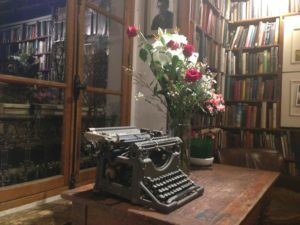 This historic shop sits overlooking the Seine and the south side of Notre Dame, opposite the iconic green bouquaniste stands filled with rare and used books, and it is fully engrained in Parisian literary history. The original shop, opened in 1919, was a haunt of literary giants Ernest Hemingway, F. Scott Fitzgerald, James Joyce, Gertrude Stein, and others. It closed during the Nazi occupation in 1941. Years later, the original store’s owner gifted the name to George Whitman, who had opened a bookshop inspired by the original. 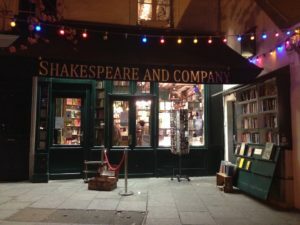 On the 400th anniversary of Shakespeare’s death, the new Shakespeare and Company Paris took its name. It would become the Paris stomping ground for the Beat Generation. 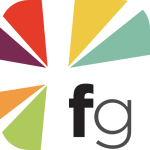 It would see several literary journals published from under its roof over the years. Today, writers and creatives drift in and out as “tumbleweeds”, making use of the old typewriters tucked into corners, sleeping in small beds nestled among shelves, and leaving behind a one-page autobiography to add to the ever-growing history of the place. 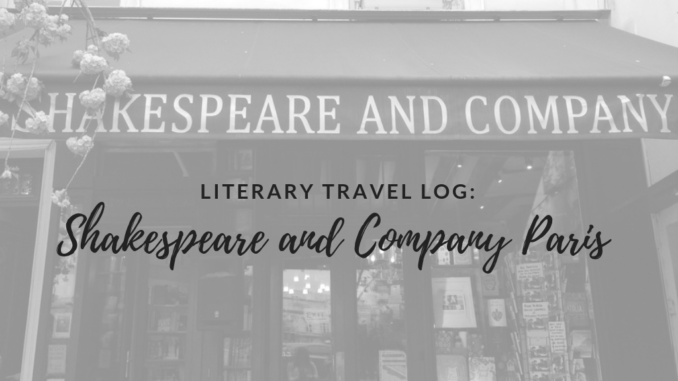 At its core though, Shakespeare and Company Paris is so much more than a bookshop. The store motto, more than just words in a handbook, is tangible in the air around you. “Be not inhospitable to strangers, lest they be angels in disguise.” Everyone who works there embodies this. Staff can be found cheerfully discussing a favorite book, advocating for world literacy, or sheltering customers during the November 13th attacks. It’s the kind of place that is made by its stories, and not just the ones on its shelves. 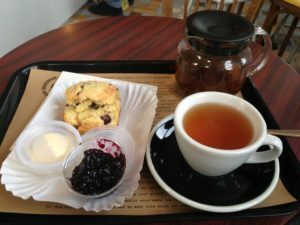 They opened a café a few years ago, where you can enjoy tea and scones, listen to the bells of Notre Dame, and pet a precious puppy while its owner works on his second novel. (Real talk, this actually happened). The matcha chocolate chip cookies from Bob’s Bake Shop are downright world changing. Sitting by the huge window in the café, still able to hear the faint tune from the shop piano. 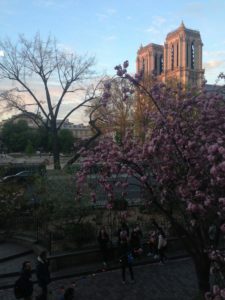 Or with the soul-filling melody of Notre Dame’s bells, it’s hard to imagine ever being able to leave. You’re in a place brimming with life, and you have one of the best views in the world. In the spring, the ground is littered with cherry blossoms. A fan of literary travel, Taylor bravely comes to us from a Bookshop that shall not be Named. When she’s not traveling internationally for all the bookish reasons, she provides our office with the driest English wit. 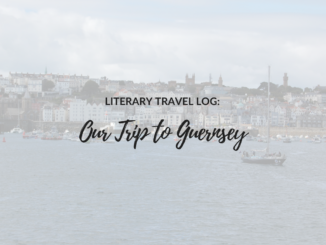 Are you a fan of literary travel? Where would you like to visit?